What a damn mess. For years the NFL used the prospect of moving a team to L.A. as a cudgel with which to beat cities into going along with stadium financing scams, and then when they finally followed through on the threat—torturing and destroying two NFL fanbases in the process—they ended up with two teams playing in a city that definitively doesn’t want either of them. Maybe the NFL isn’t as indestructible as it thought it was, and maybe fans aren’t eager to unthinkingly swallow up whatever product the league throws at them. 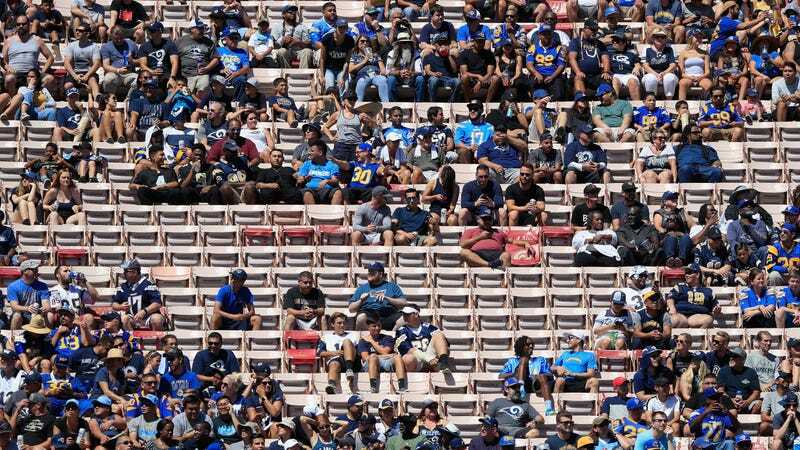 I can’t wait until Stan Kroenke’s massive Inglewood stadium opens and is treated like a dormant volcano by the locals. It would be nothing less than the NFL deserves. Eagles Fans Took Over L.A.